If you are a in a need of a new garage door, new garage door opener, new garage door cables, new garage door sensors, than you have come to the right place. Garage Door Repair Portland is an experienced company in the residential and commercial garage door installation business. We have installed hundreds of thousands of new garage doors in Portland and parts to business and home owners for over 20 years.Our qualified and skilled technicians, earned a positive reputation among home owners and top businesses around Portland. We have a great understanding of your needs, and offer an outstanding selection of parts, from design and workmanship, to affordability. We are strong believers in the quality of our work, which is why we offer you the best product for your needs, at the lowest price possible. We carry a large variety of custom Wood Garage Doors, Aluminum Garage Doors, Steel Garage Doors including Commercial Business Garage Doors, by most of major brands such as 1st United Door Technologies, Clopay Garage Doors, Amarr, Raynor and more. Our qualified and experienced garage door repair technicians will help you find the right colors, materials, windows, and trim package to fit your desires and budget. 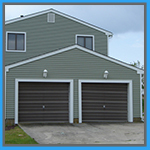 We guarantee that you will be satisfied with your garage door and over all appearance and value! 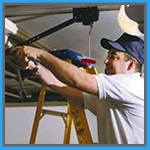 Garage Door Repair Portland techs are trained and certified. Our company has a well equipped garage door service trucks staffed with trained experts who will help your garage door problem, within the same day, 2 hours after you call! To schedule an appointment, please call us at (503) 483-0846. Choosing and installing new garage door opener should be as easy as 1-2-3. Friendly staff at Garage Door Repair Portland has put together an information packet for you to understand the differences between the types of garage door openers. 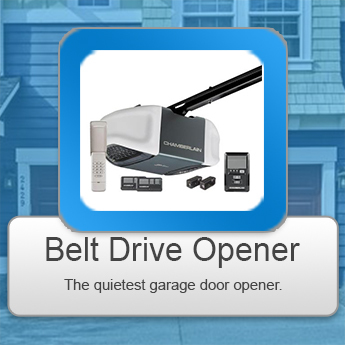 Belt drive garage door openers are best and the quietest openers on the current market, and the belts are usually covered by a lifetime warranty depending on the manufacturer. Due to being extremely dependable and quiet garage door opener, belt drives are the “top of the line” garage door openers. 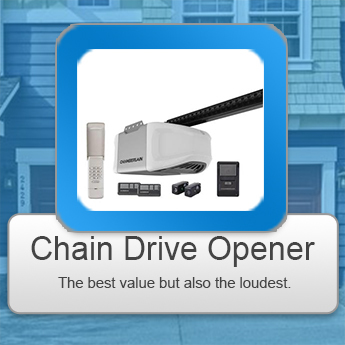 Chain drive garage door openers are the standard, basic model of the opener. They are very reliable and less expensive. Chain drive garage door openers are a very popular a great choice to save a little money. 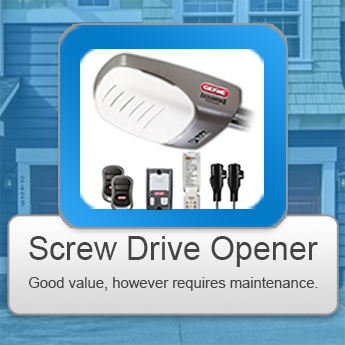 Screw drive garage door openers are slightly better than chain drives, because they use a different way of lifting the garage door. The mechanism that is attached, moves along a threaded steel rod. They are very powerful units have few moving parts, which require little maintenance. 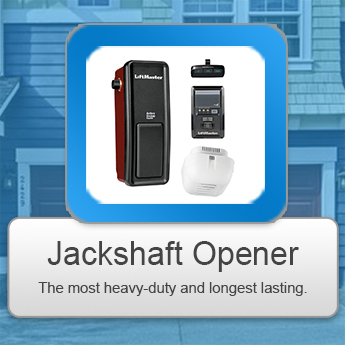 Direct Drive Jack-shaft Opener is a uniquely designed garage door opener is usually mounted to the wall beside the garage door. It gives up more ceiling space that is useful for maximum storage for garage doors that have low ceilings. It is powered by a DC motor that is extremely quiet. Typically, there are two main types of springs that your garage door will use. They are extension springs and garage door torsion springs, which are slightly different from one and another.Garage Door Extension springs are designed for the lighter garage doors and are usually placed on the sides of the garage door track.Garage Door Torsion springs are placed above the door opening, and are proper for heavy doors. The best way to determine which garage door spring your will need, is to have a garage door repair service technician to look at your garage door system. Aside from new garage door spring installations, you should also keep in mind that we can have them repaired when they wear down or snap. Garage Door Repair Portland does not recommended that anyone attempts this type of repair on their own, due to heavy spring-loaded tension on the garage door, which can be very dangerous if you do not have the proper training or the experience with garage doors springs in Portland. It is best, if you leave the repairs, installations, and replacement to the licensed, bonded, and certified professionals.